All last month I meditated on one chapter of scripture: Romans 8 in the Message version. Some days I would read the whole passage, sometimes half, others only a few verses. I meditated and mulled over those words until they really became alive to me. So I thought I’d do a series about Romans 8 to share with all of you. It’s rich with truth and light that will set you free. Let’s begin today with verses 1-2. Plenty to chew on there. I will break it down piece by piece. What dilemma is this? Perhaps the very dilemma of fate? Chance? Or is it our ultimate fate as fallen human beings. A fate separated from our glorious maker. Perhaps even eternal separation, which would be the appropriate result of our sinful state. But with the arrival of Jesus, the slate is wiped clean. We are reconciled to our heavenly father. No longer pawns of fate—of Satan, the enemy of our soul—but beloved children. A royal priesthood, ambassadors of Christ to the dark world around us. Those who enter into Christ's being-here-for-us no longer have to live under a continuous, low-lying black cloud. I know I’ve lived too much of my life under a low-lying black cloud. Even as a believer. What about you? Do you ever feel oppressed, depressed? But that’s not the plan. Christ has set us free from that. We no longer have to live under that darkness. But what is the condition? We must enter into Christ. The light of the world lives in us, shines through us. He is more than capable of dispelling that darkness. As we soak in His presence the darkness dissipates. As we speak His name and declare His word the darkness must flee. At the cross Jesus conquered the enemy. Satan lost his power. Death was defeated. Christ redeemed us from the curse of the law being made a curse for us. And He’s given us the keys to the kingdom. As His ambassadors, His children, He’s given us the power. Yet too often we feel powerless, defeated, and broken down. We must put on the full armor of God that we might stand against the assaults of the enemy. We must fill ourselves with the word of God so that we can not only withstand any attack, but even be on the offensive for the kingdom of God. And here’s the best part. The Spirit of life in Christ blows in like a strong wind, clearing the air of that black cloud. Can you see it? Can you feel it blowing crisp and clean across your skin. Take a moment to close your eyes and picture this scene. Picture the black cloud in your life. Name it. Then watch the Spirit of life blow it away and clear the air. We are free from our original fate. Free of the brutal tyranny we were born under. Free from a life as slaves to sin and death. Free to serve Christ in all His liberty and grace in clean air under bright skies. Why don’t you take a moment to dance in spin in that freedom. I know I will. Thanks for joining me today for this foray through the first two verses of Romans 8. Come again in two weeks when I’ll continue with this study. And please take a moment to share your thoughts, impressions, and experiences from these first two verses. Oh yes, I need that refreshing wind of the Spirit. Thanks for this today, Dina! I love that description too. A clean fresh breeze blowing away all the stagnant stuff. Thanks Dina! Glad to hear you ladies were encouraged. 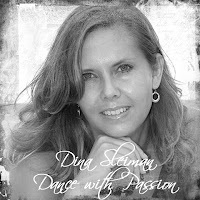 Dina, I love this! I especially love A new power is in operation. Great imagery. It gives me such an amazing peaceful feeling. It's very freeing. Oh,those were the kind of clouds I was travelling under today. But then I drove past a flock of pelicans. I've never seen a real pelican, so I backed up, shut my van off, and there on the open prairie without a building in sight, I taped, photographed, and gazed on the most amazing sight for 20 mins. Even missed supper because of it.